With the onset of Spring and warmer weather, maple sap starts to rise. February is the time of year when our supplier starts to tap the thousands of maple trees on their 1000 acre farm in the foothills of the Vermont Green Mountains. We recently added some new maple cream candies to the store. 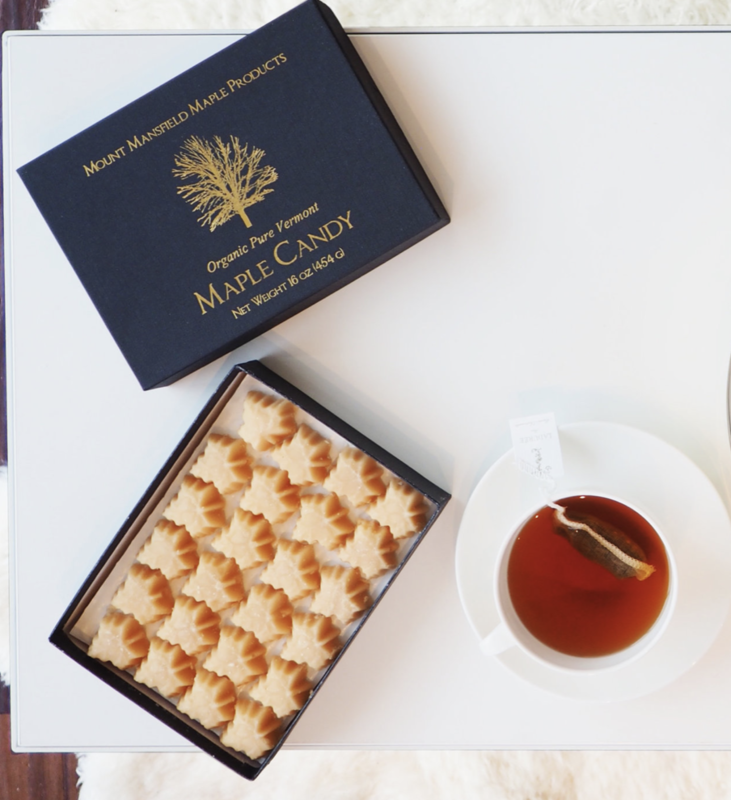 If you enjoy the maple flavor, you need to try these. The candies are in the shape of a maple leaf that is then sprinkled with maple sugar. The flavor is a nice clear maple flavor with a creamy texture. We have also re-introduced a new line of spices to augment our current line. The line includes spices include those for seafood, pork and beef, We have even added a nice curry from the line to branch out beyond traditional American, French and Italian spices. We invite you to give them a try. You never know. You might find one that you cannot live without in your kitchen or barbecue. Finally, we have added another line of teas to our current selection for an expanded variety. It is a small collection that ranges from a nice black tea that is a great alternative to ‘earl grey’ to a bold flavored green tea to a white tea that is an excellent option for a lower-caffeine, delicate flavor. These teas, like many of the others that we currently carry are wonderful options to enjoy while sitting in a big chair next to the fire with a great book or to share with a good friend for a long chat at the kitchen table or in the garden. Last shopping weekend before Christmas!